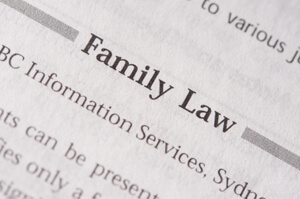 Family law is defined as statutes, court decisions, and provisions of federal and state constitutions that relate to the rights, duties, finances, and relationships of families. Many individuals think of family law as being singularly focused on marriage and divorce, but the truth is that family law embodies much more than that. o For pre-marriage, matrimonial and family law attorneys can draft, negotiate and review prenuptial agreements and postnuptial agreements. If you and your fiance are looking to enter into these types of marital agreements, it is best if both spouses had independent counsel. This will make for a fair agreement, have everyone’s interests protected, and can reduce the chance of the agreement being challenged and thrown out at a later time. Adoptions, whether stepparent adoptions, family adoptions, agency adoptions or international adoptions, would-be parents must have an attorney to ensure all the legal requirements are carried out to protect their family in the future. If you are thinking about surrogacy, you must speak to a lawyer qualified in that area, as many states have very strict requirements for legal surrogacy contracts. Divorce typically includes considerations of income and assets, property settlements, alimony (called maintenance in most states), child custody, visitation and child support. While simple divorces may not need both spouses to have an attorney, it is always in a person’s best interest to at least speak to a family law attorney before beginning the divorce process. Mediation is a potential option that many couples find useful for divorce, and most states require parents to attempt mediation for child custody issues before resorting to litigation. Unmarried fathers can have the same rights as married fathers; however, they may have to go through some extra steps to secure their parental rights. Note that a biological father being listed on a birth certificate is often not enough to bestow parental rights to him. Unmarried fathers may have to sign a Voluntary Acknowledgment of Paternity (VAP), or bring a paternity petition before a judge to be the child’s legal father. Fathers, mothers and the state, in some circumstances, may bring paternity actions against the other party for child custody, child visitation and child support. If you have questions about any of the situations mentioned above, it is best to meet with a family law attorney. Family attorneys have a full understanding of the case and circumstances that arise. While this page seeks to develop your understand of family law issues, it is not a substitute for having a lawyer to consult with and receiving the most knowledgeable and up-to-date information. https://cdn.askthelawyers.com/wp-content/uploads/2019/01/14164028/divorce-mediation-image.png 290 429 AskTheLawyers™ https://cdn.askthelawyers.com/wp-content/uploads/2018/05/28085239/Asset-2-300x40.png AskTheLawyers™2019-01-14 16:47:212019-01-15 10:03:26Is Divorce Mediation Right for You?